The rains, when they come this summer, tend to be of the "bucket dump" variety. There haven't been many of the gentle rains which lull you to sleep. These are the "pound the flowers to the pavement" type. 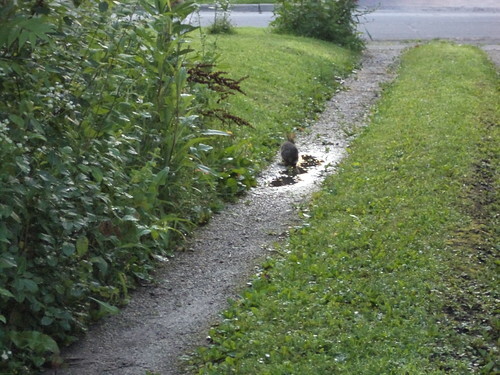 They leave puddles, which, for a period of two weeks, attracted a youngster to my yard. He (she?) is so little and cute. Well, they are cute regardless, but when they are juveniles, they seem to amp up the cuteness. I'd seen him in the drive every morning and had shoo'ed him off so I didn't hit him. This time, I aimed my camera and waited. 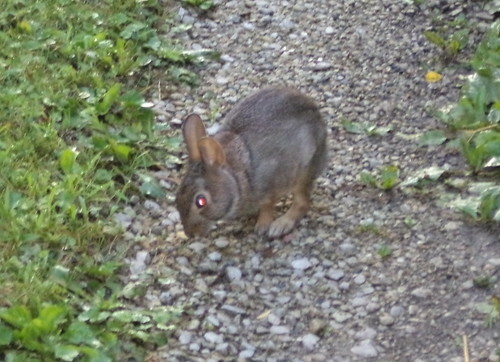 He spotted me leaning against the Jeep and started hopping towards me. Slightly startled, I snapped a couple quick photos. 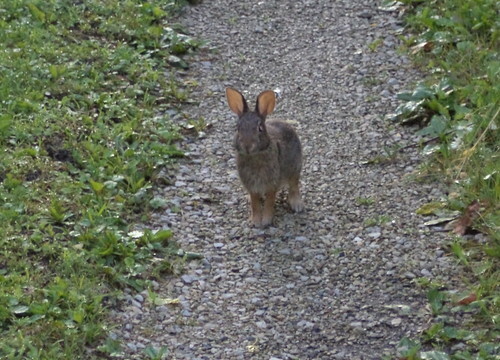 He was so nonchalant about coming up towards me. When my purse, on my shoulder, slipped down my arm, he bolted past me into the back yard and disappeared. What a grand way to start my day.